Israel Adesanya is already looking to get a fight booked against UFC light heavyweight champion Jon Jones. Both fighters have their next fights booked so this potential bout is still in the cards. It’s not likely to take place in the near future. First up is Adesanya, who is slated to fight Kelvin Gastelum for the interim middleweight championship at UFC 236. Jones is set to make his next title defense against surging contender Thiago Santos in the main event of July 6’s UFC 239. 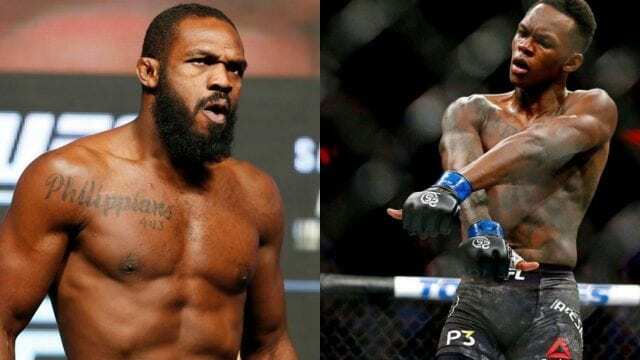 Just last month, Jones went on record by stating that he “has a feeling” he will fight Adesanya one day. While doing a recent interview, “The Last Stylebender” made it known that he agrees with that belief. The reason for that is due to his thinking that since he beat all-time great Anderson Silva in his last fight, he can beat another GOAT in Jones.